Why thousands traders work with us? Already have a broker account? Being the largest global market, Forex gives everyone a unique chance to enter it without any restrictions. However, while for entering it, it is enough to have just a small sum of money, in order to become a successful top-level trader, one needs to test numerous strategies and to use all possible advantages to the full. One of the ways to boost the efficiency of your deals is to use such a tool as Forex cashback. Go on co-operating with your Broker – and get paid for it! Stop missing out on money! One of the ways to save your money is to get Forex cash back. On registering at our service, you get an additional sum of money weekly based on volumes you trade! All is simple: we are paying while you are trading! There is no secret that Forex cashback is one of the most effective marketing tools. 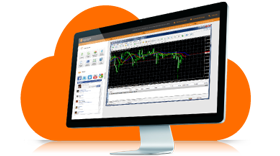 It allows you to get real money for deals a trader makes on Forex using our platform Globe Gain. In case you open an account with our Globe Gain platform, we earn a commission from your broker for each trade you place. The broker pays us from his spread or commission profit for the opportunity to appear on our website and thus gain more and more clients. It is some kind of a compensation for clients referring to the broker. Globe Gain, in its turn, keeps only a part of this commission and shares the largest part of it with its clients – we pay you Forex cash back. It is some kind of a thank for signing up with us. As usually, you do your regular trading, but you get a reward for every market lot. It doesn’t really matter how profitable your deal is – in any case you get your bonus! Your trading conditions are left unchanged! 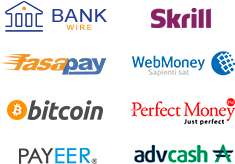 They remain absolutely the same as though you opened your account direct with the broker. Pricing, spreads, service, and execution on the part of your broker remain exactly the same. The only difference is the following: being our client, you get an extra cash per trade. So it's more beneficial to open an account using our service. How can it be possible? The answer is obvious! When we establish relationship with brokers, they accept the agreement that they pay us back certain amount of spread you pay in trading. This is a simple rule of healthy competition: in case they pay less, you might sign up with one of their numerous competitors with whom we have also established relationships. Try this simple instrument yourself and get your spreads back!